This bike's heavy duty frame design with adjustable contoured seating provide maximum comfort and support. 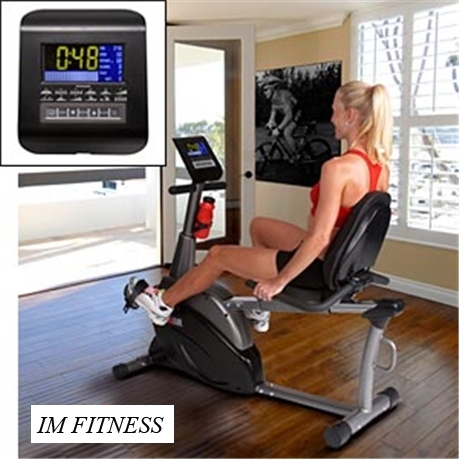 And with an industrial strength belt-drive system, precision balanced flywheel, and friction-free magnetic resistance, the Ironman Recumbent Bike provides you with a smooth, quiet and effective workout. The console is complemented with a large easy-to-read blue and yellow backlit LCD screen that displays everything from speed and distance to calories and heart rate. And the 12 pre-set programs and 1 heart rate program with 16 levels of resistance are sure to challenge users of all fitness levels.